Easter baskets do not always have to be able candy, check out this candy free Easter basket idea! 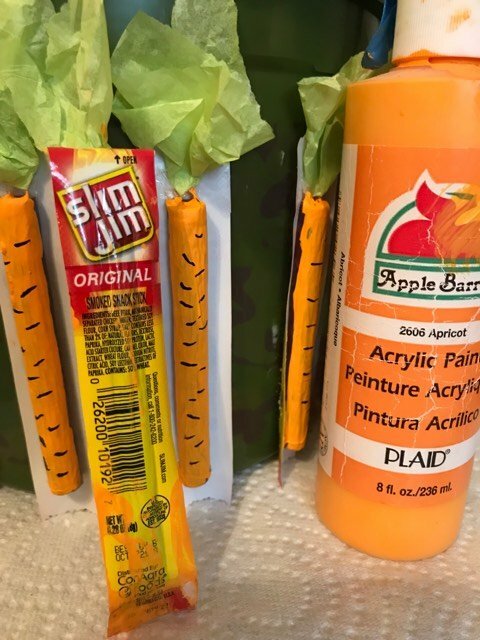 Bonus: Slim Jim Carrot Craft. Now that my kids are getting older, Easter baskets are becoming a bit more difficult to prepare. My son, the pre-teen, no longer believes in the Easter Bunny and has started to request items for his basket. His first request was no candy but rather, some of his favorite “snacks”. My son has never really been a huge fan of sweets, he certainly did not receive that gene from me, but he enjoys more savory foods. 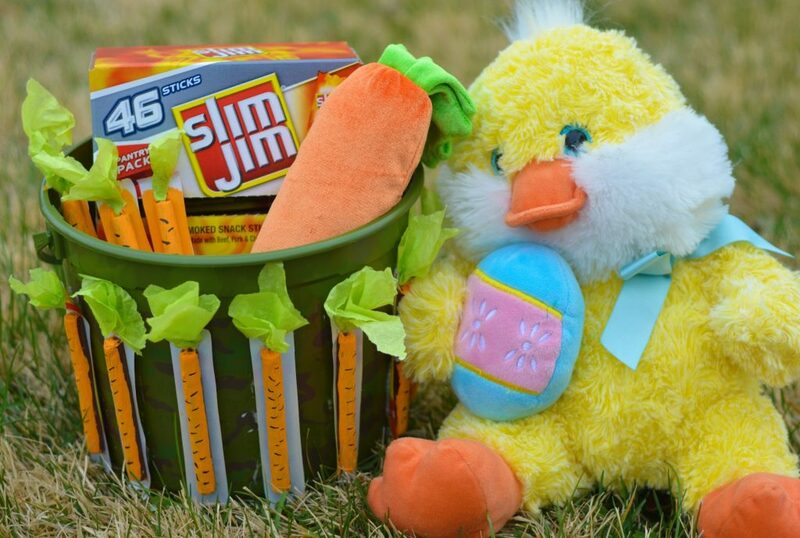 One of his favorite snacks is a Slim Jim beef stick, so I knew I had to include it in his Easter Basket. My only problem was giving his favorite snack an “Easter feel”. Then it hit me, make a Slim Jim carrot! 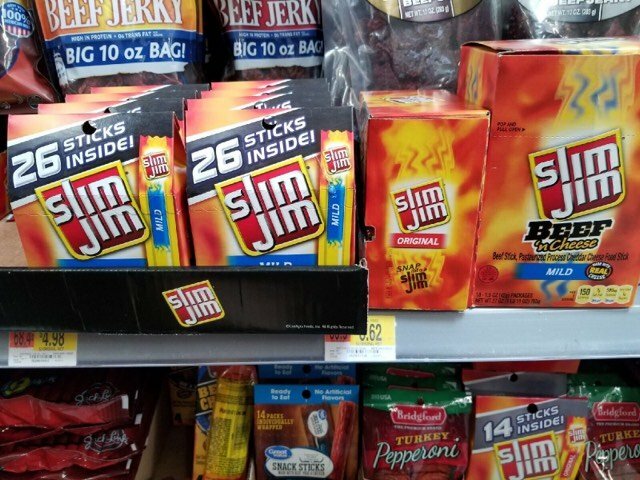 I headed to Walmart to pick up all the essentials and of course, Slim Jim Original Smoked Snack Sticks. I grabbed a few of the 26 count Slim Jim in the Gable Top boxes to stick in my daughters & husbands basket and a 46 count for my son. Lets face it, that may seem like a lot of Slim Jim but there is never TOO many Slim Jims to be had in our home. Its really a perfect little snack to always have on hand. Let me tell you how easy it was to make these Slim Jim carrots. I simply painted the “stick part” orange, got out my black Sharpie, drew some lines to give it a carrot look and stuck some green tissue paper on top. Instant carrot but it tastes much better! I am not crafty at all but I think these turned out super cute and was so easy to make. 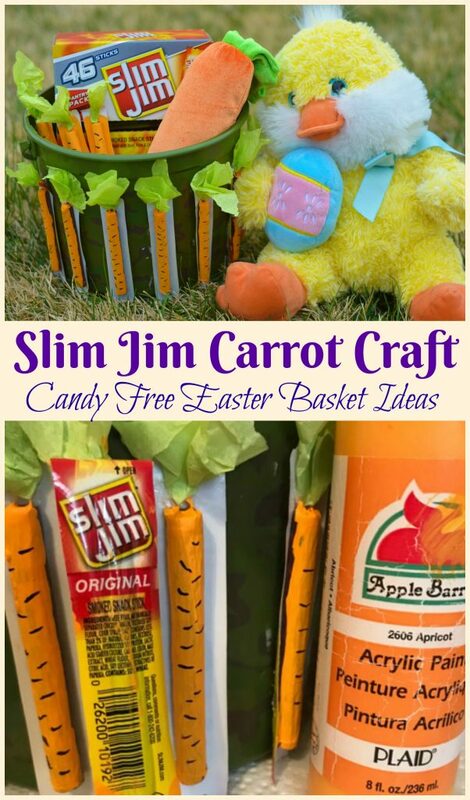 After getting all crafty with my Slim Jim carrot craft, I was in the Easter basket making mood. So, I headed on over to SlimJimBoldBreak.com and created a virtual Easter basket! While I believe the Easter basket I made for my son totally wins the prize for best Easter basket made EVER, my virtual Easter basket can actually win me some money! 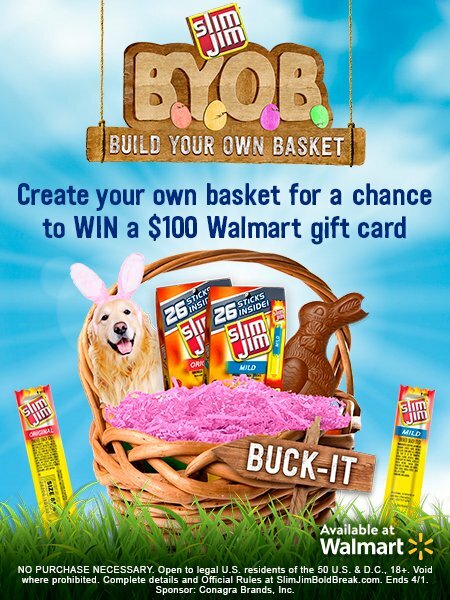 Thats right once I created my virtual Easter basket, I entered it for a chance to win on of 20 $100 Walmart e-Gift cards*! 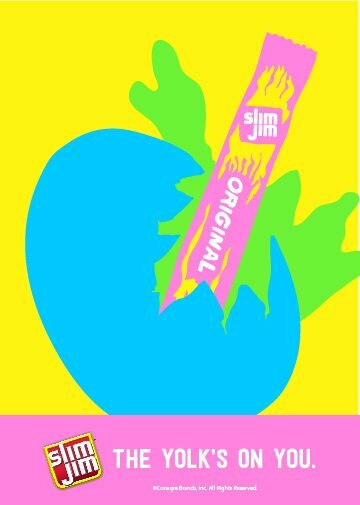 Go make your virtual Easter basket NOW over at SlimJimBoldBreak.com, five winners are awarded each week and you can receive extra entries by sharing it on your social channels. * So, what are you waiting for? Click on the two images above to get started and good luck!